Koriander was, once again, selected by the assistant director of Career Services to provide food beverages and service for their annual event. Dapper Dinning is a hands-on enrichment session for Swarthmore students teaching social engagement at a Mocktail reception and the proper manners and protocol at a business dinner. 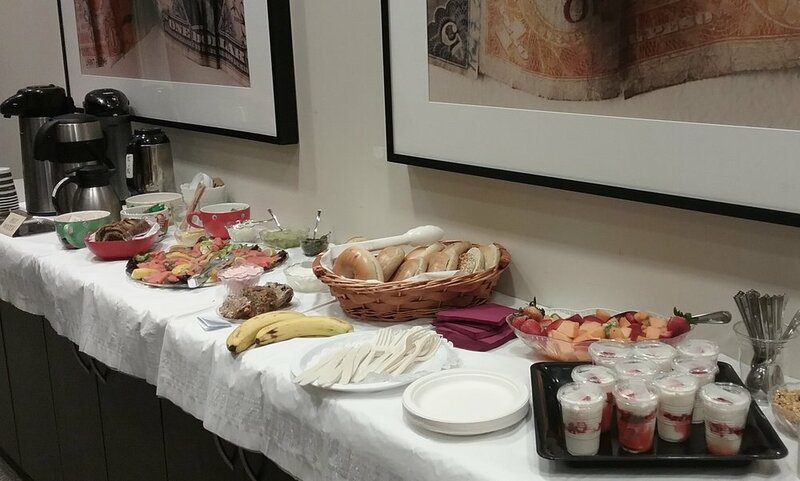 Koriander provided a breakfast buffet of smoked salmon, yogurt parfaits, and assorted bagels.